Can you imagine having names for only three colours? In this book about the history of the colour green,* I read that the ancient Greek language had simple names for only black, white and red. Other colour words were available but they tended to describe the quality of a colour (such as ‘dark’ or ‘pale’), or the kind of emotion it evoked, rather than naming plain green, blue and yellow. My first thought, reading this, was to feel sorry for the poor old ancient Greeks, that their language was so impoverished. Fancy not being able to say that the sky is blue or the sun is yellow! On second thoughts, though, I wonder what is the real point of any of these words? They’re useful when a quick identification is needed – when a witness says that the suspect was wearing a blue shirt and drove off in a yellow car. But the categories are too broad to do justice to the thousands of different shades that an artist might want to name, so we subdivide ‘blue’ into navy, cobalt and ultramarine, to name just a few. The grass is green, right? 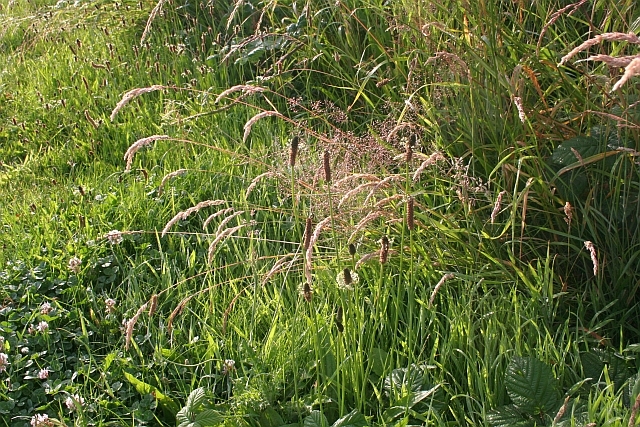 Sometimes, on a country walk, I pick one stalk of every different type of grass I can find along the path. There are usually about a dozen varieties, and the range of colours they represent is astonishing – from brown, through purple and green, to creamy yellow. I call them ‘green’ only because I’m not looking closely enough. I’m just being lazy. There’s something else, though. Very often, when we talk about colour, we’re really talking about its cultural or emotional meaning – what it signifies to us rather than just which part of the light spectrum is being reflected from the surface we’re seeing. Even when we remark on how blue the sky is today, often what we mean is that it’s making us feel cheerful. Lots of our colour-talk is about symbolism or deeper meaning: we think of autumn colours, Christmas colours, nautical colours, tropical colours. Red stands for danger, purple for majesty, green for renewal. have an experience of bliss. This is not just a description of a white landscape, but of whiteness. It’s an experience, not a colour. The ancient Greeks were on to something, you know. However many colour-words we have, three or three thousand, it’s the inner quality that matters, not the surface reflection – what we feel, not just what we see. This entry was posted in Colours and tagged black, colour, D H Lawrence, Greek, green, poetry, red, white. Bookmark the permalink. The History of Green what a fabulous topic for a book. I especially love the ideas of colours for emotions, there some shades that just make me smile. Turquoise is my calm confident colour!